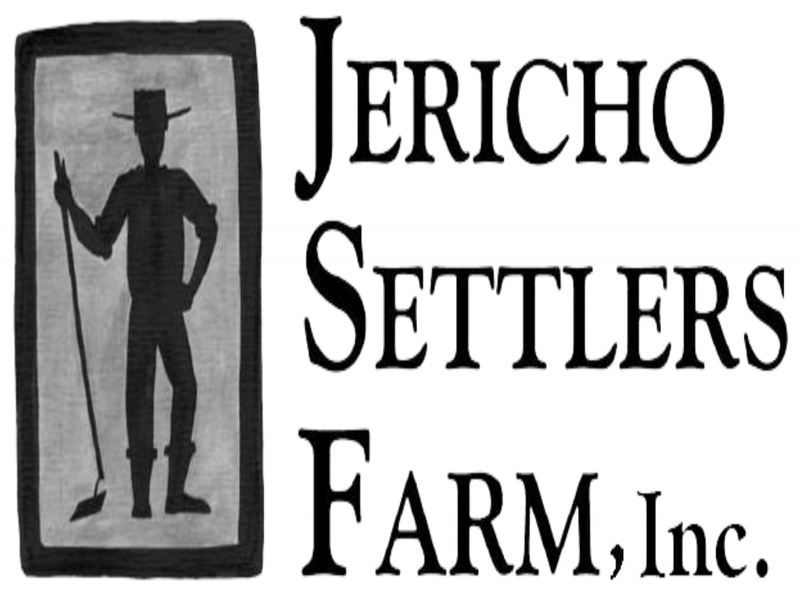 Jericho Settlers Farm was started in 2002 by Mark Fasching and Christa Alexander. It is a thriving 200 acre farm located in Jericho, VT . Twenty five acres are dedicated for organic vegetables, flowers and herbs that are sold in their year round CSA programs, farmstands and for wholesale customers. 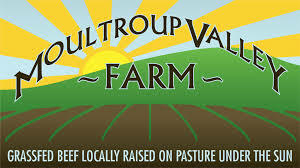 They also have 175 acres of land for hay, cover crops, and grazing for their 100% grassfed and grass finished lamb and pasture-raised pork and chicken. These meat products and eggs from the free-range chickens are available in their CSAs and at their farmstand in Jericho. Six solar trackers supply the farm’s electricity. The farm name was chosen because it is located on two of the earliest settled farmsteads in Jericho, Vermont; the Chapin Homestead settled in 1783 and the Brown Family Homestead circa 1800. Jericho Settlers Farm continues the tradition of raising healthy food on a diversified family farm. Maple Wind Farm, started in 1999 and owned by Bruce Hennessey and Beth Whiting, is a diversified pasture-based livestock, poultry, and organic vegetable farm located on two conserved properties in Huntington and Richmond, VT. The farm produces 100% grass-fed and grass-finished beef, pasture raised heritage breed pork, non gmo broiler chickens and eggs, and certified organic turkeys and vegetables. In the farm's USDA poultry processing facility they process their own poultry and poultry for other farmers as well as value added products. Maple Wind Farm offers winter yurt rentals at their Huntington farm adjacent to the state forest for recreational enthusiasts. 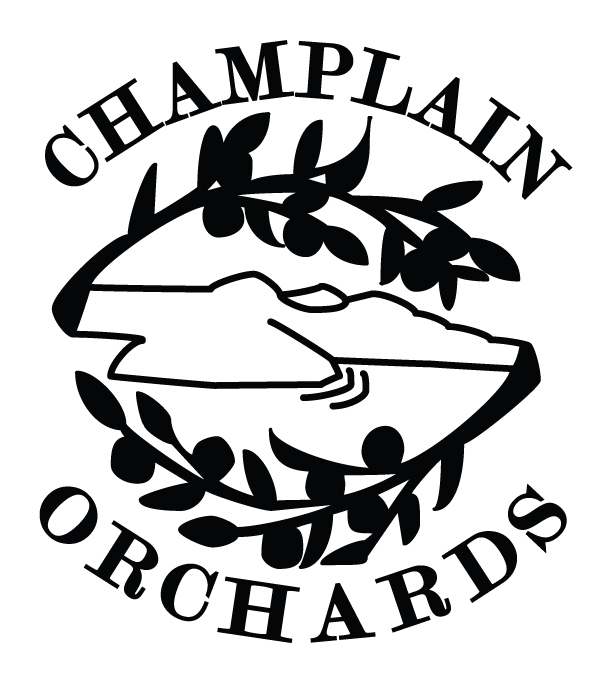 They sell direct at their farm in Richmond (by appointment), and the summer and winter Burlington farmers’ markets, as well as wholesale to restaurants and food coops in Vermont and greater New England. Their priority is to provide their customers the highest quality products possible and create healthy soils while feeding their families and raising their animals in the most humane and healthy way. Lewis Creek Farm in Starksboro, VT, is owned and operated by Hank Bissell. The farm has a long history dating back to the late 1700’s. Hank bought the farm in 1981 and began growing vegetables that are sold at the farm, at farmer’s markets, through their CSA program, and wholesale. They have previously raised pigs, cows and sheep, but they are currently focusing on vegetables and laying hens. Ten kW of solar panels produce about 40% of the farm’s energy use. Hank is a leader in sustainable agriculture producing ecologically grown vegetables. While not certified organic, their practices are mainly organic and sustainable. The Farm at VYCC is a program of the Vermont Youth Conservation Corps (VYCC), a nonprofit 501c3 organization whose mission is to teach individuals to take personal responsibility for all their actions. We do this by creating residential service opportunities for youth and young adults seeking conservation experiences. They have 8 acres of diversified vegetables and have several AmeriCorps VISTA workers on their team every year. They offer vegetables for sale at their farmstand, wholesale, and through their Health Care Share CSA program. Burnt Rock Farm is owned by Justin Rich and Lindsay Lyman-Clarke. Justin runs the day to day operations of the farm, while Lindsay works in town. They have 2 young children who greatly enjoy the mud puddles liberally sprinkled around the farm. The farm has 12 acres of vegetable production and 6 acres of intensively managed cover crops on their glacially terraced soils along and above the banks of the Huntington River, stretching from Hanksville north to the Lower Village. All crops are certified organic by Vermont Organic Farmers (VOF), and they strive to grow the highest quality produce while also stewarding their prime agricultural soils. They make use of organic amendments such as compost, wood ash, and rock mineral fertilizers, and strive to keep their soils as biologically healthy as possible though active management of cover crops. Slopeside Syrup was started in 2010 by 4 cousins of the famed Cochran’s ski racing family in Richmond, VT. Their over 17,000 taps on just over 400 acres surround the small non-profit community ski area started by their grandparents that has churned out two generations of Olympic skiers. Slopeside’s sugarhouse is located at the base of the ski hill, rising from the banks of the Winooski River on a ridge overlooked by Camel’s Hump and Mount Mansfield. Their syrup is sold around the country and also packaged in one ounce energy packets for use by athletes. Vermont Bean Crafters, located in Waitsfield, VT was started by Joe Bossen and a group of supportive friends in 2009. They are committed to local and organic fare that is preservative free and filled with nutrients while sourcing directly from organic farmers within a 256 mile radius. Black Bean burgers are their staple product available at quality restaurants, large-food service kitchens, Co-ops, and everywhere in between within their distribution area. They also produce falafel, hummish, cookie and muffin batters, as well as dried beans. Farmer Hil is a small, sustainable mixed vegetable operation in North Ferrisburgh, Vermont. Our focus is on growing fun, interesting, and delicious produce for chefs. We are continually searching out new varieties to introduce to Vermont's innovative culinary scene. Every seed, leaf, root, and fruit is tended personally by the farmer, guaranteeing only the highest quality product arrives in your kitchen. Stewart's Bakery - When California native Stewart Ruth opened Stewart’s Bakery in 1987, his idea for baking bread like he had known growing up in Europe was ahead of the curve. Today, his Williston company is an institution. In 1984, Ruth went to work for Gourmet Food Exchange on Church Street in Burlington. His job was to bake bread and manage the bread program. In 1987, he opened Stewart’s Bakery as part of Tinguini’s Market, a collaboration of seven food-related specialty stores. Within two months he was making a profit, largely, he says with a chuckle, “because I couldn’t find enough people to work for me, so I worked a lot of hours.” Ruth stayed at Tinguini’s for two years, until it closed. “They went out of business, but I was profitable, so I started to investigate buying my own place,” he says. He operated from a space off of Shelburne Road next to the former Amigos Mexican restaurant until 1992, when he moved to Shunpike Road in Williston. He’s been there ever since. Ruth credits his success to the fact that he started out with his heart set on making a product he had in Europe growing up. “I’m very passionate about it and my motivation is to bake the bread I grew up with,” he says, adding that he makes only European bread and nothing else — small and large baguettes, crusty rolls, sourdough Italian with olive oil, and French country bread.